Is your Android mobile your primary device to access internet? As the days go by, Android mobiles are becoming smart and efficient as much as a PC, and we often use them more often than we use our laptops. Whether it’s using social media apps like WhatsApp & Facebook, or important business like checking mails & saving documents, Android is the device we can always reach out to. In this given scenario, it becomes an urgent necessity to put attention to the cybersecurity of the smartphone as much as our laptop or PC. How to Check for Virus on Android? The nature of Android operating system is so that there are less scopes of virus attacks. But again, you can never take a chance with the security of all your personal files. Even, your Android phone call data and emails can get hacked if you enter into a wrong link intended for malicious cyber activities. 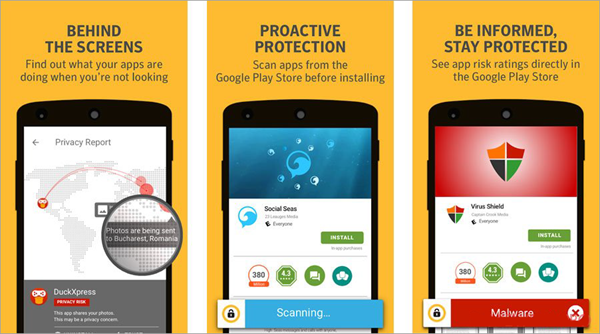 A handy antivirus app for Android can save you from the trouble and the harassment it costs. In general, you can keep clearing the cache of your phone memory frequently; you should check the “Downloads” folder of both your browser and SD card to check if you have accidentally downloaded any unnecessary or harmful files. Although, you cannot take anymore precautions than that with the help of inbuilt apps; to add that extra tightness in your security module you have to install at least one robust Antivirus app into your phone. This is the best way if you want to know how to remove virus from Android phones. The following is a list of the top 5 antivirus apps among which you can consider which one you prefer to use to clean virus from Android. We are going to discuss these applications elaborately in the next section. So stick around for some more time before you can decide which one is the best suited antivirus for you. What is the Best Antivirus App for Android? There are a handful number of Antivirus softwares in the market specially designed for Android devices. 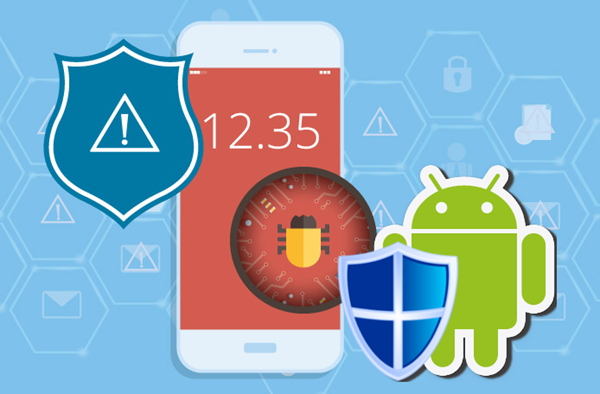 As people are getting more aware of their mobile security, the global Antivirus giants have also been smart enough to match the trend by producing the Android version of their security apps. All the Antivirus apps are verified by an independent IT security organization, AV-TEST. While briefing our list, we have considered the accuracy data given by the institution, so that you can make a wiser choice. 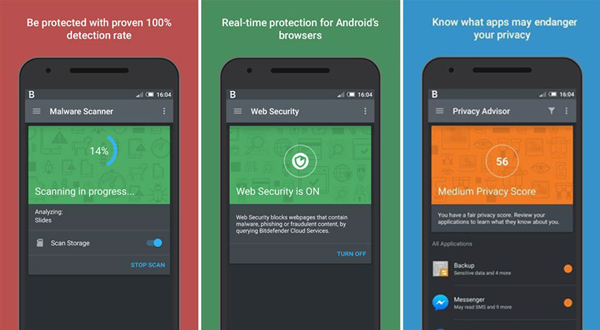 Without wasting any more minutes, let us follow the top 5 best free antivirus app for Android. Tip: If you want to recover the Android data lost due to virus attack, please try this Android Data Recovery to get the lost data back. The best part about Bitdefender is that this app is absolutely lightweight and it won’t slow down the performance of your phone while scanning. If your phone memory remains almost full all the time, this is the perfect antivirus for you. Also, Bitdefender performs the scan in the cloud technology for a smooth performance, without interrupting your mobile actions. The virus detection accuracy of Bitdefender has been marked as one of the top scorer in the AV-Test. Like all the other antivirus, Bitdefender has a paid version as well as the free version. 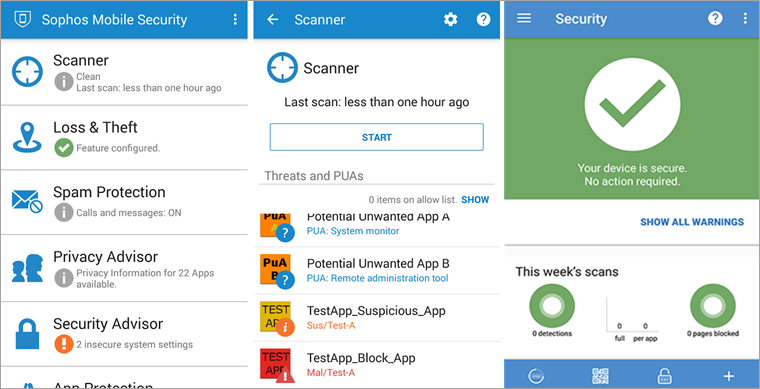 The free version is among the best mobile free antivirus with almost every scanning quality you need. But the trial period of the free version lasts only for 14 days, which is a bit less from that of its competitors. The paid version comes with many added facilities like malware scan, anti-theft, app locker, etc. Avast and AVG, the two giant antivirus companies have merged together to form an extremely informed and well-facilitated antivirus company. This has obviously given Avast a great boost, as we can see it has over 100 million downloads on Google Play Store. 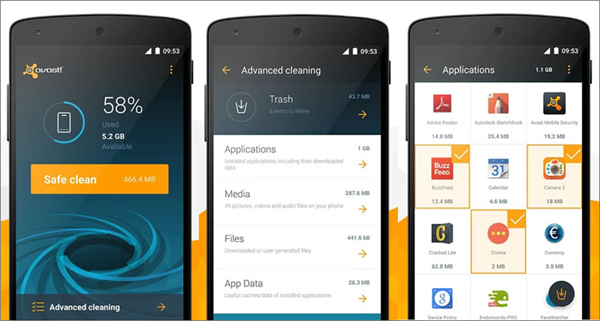 Avast has incorporated various interesting and unique actions, such as call blocking, Anti-theft, battery saver, RAM speed booster, cache cleaner, Firewall for a rooted Android device, complete internet security, and a photo vault to hide your private pictures. Although, the free version comes with adds and pop-ups. If you pay some bucks, you can easily shift to the add-free version with little more benefits. This is probably the best virus checker for Android for free. Sophos also boasts of being the former winner of the AV-TEST. It has the best accuracy in scanning virus. The most amazing part is, the whole security suit is absolutely free with no ads at all! Some of the interesting features of this application are complete malware protection and virus scan, anti theft, internet security with malicious website blocking, app lock, call blocker, a virtual security advisor, and what not! The simple user-interface of this app is a major advantage. The only disadvantage that we’ve noticed in the app is that you cannot pre-schedule the virus-scan. You will need to manually initiate it with a tap in the button. 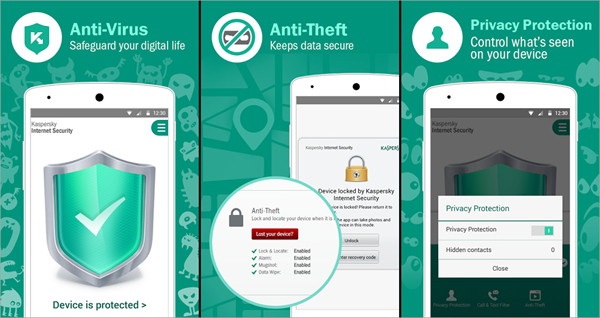 Like the free antivirus version for Windows PC, Kaspersky free mobile security has also been consistently on the top of the best antivirus list. In the recent study, Kaspersky has bagged full marks in all the tests conducted by AV-TEST with a 99.9% scanning accuracy. Therefore, you should know that once you choose Kaspersky, you are getting the best of the best. Along with the free version, they also promote a paid version that supports real-time protection, anti theft, anti-phishing, app locker, etc. You can get a trial of the premium version for 30 days absolutely free. Norton security is one of the most globally renowned name for antivirus software. The Norton Antivirus for Windows PC has always strived to be the best, and the Android version has managed to keep up that reputation finely. It has scored 100% virus and malware detection rate for all kinds of Android mobiles. The free version also introduces impressive features, such as, it has anti-theft policies to trigger alarm, lock your mobile and wipe out the memory. It can also perform the blocking of spam numbers, messages, emails, etc. It teams up with other stand-alone apps such as Norton app locker and password manager. You can easily find these additional apps on Play Store. Although, the premium features like these are available only for a free trial of 30 days, after which you have to pay a significant amount to shift to the paid version.